Believe it or not, the link between diet and cancer is strong. The Hallelujah Diet addresses this as it’s an entirely plant-based diet rich in fruits, vegetables, and other cancer-fighting whole foods. If you have cancer, the Hallelujah Diet and its supplements help you fight this deadly chronic disease. Increasing fruit and vegetable intake lowered cancer risks in numerous studies. A study published in 2015 in the Iranian Journal of Public Health found that consuming 5–7 servings of fruits and vegetables daily is associated with fewer diseases and a longer life compared with eating fewer than 5 servings per day. 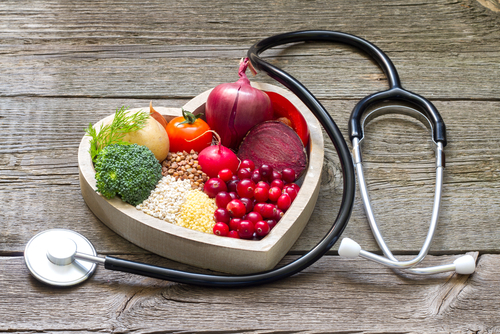 When you take care of your body and eat the right foods as God intended, you’ll be surprised at your body’s ability to fight illness and disease naturally. The Hallelujah Diet shouldn’t take the place of medical care if you have cancer, but it helps you fight the disease and increase your chance of surviving. What Is the Cancer Rescue Plan? BarleyMax® is a pure organic green juice power loaded with disease-fighting antioxidants. It strengthens your immune system and increases energy. Even if you’re eating more than five servings of fruits and vegetables a day, BarleyMax® helps ensure you meet daily antioxidant and other micronutrient needs. The added nutrition from BarleyMax® can help reduce side effects of medical treatments for cancer. Most Americans don’t ingest the amount of fiber necessary to maximize health and reduce disease risks, which is at least 25 to 30 grams per day. Men ages 50 and younger should aim for at least 38 grams of fiber each day. The Hallelujah Diet Fiber Cleanse Powder is critical to your health when you have cancer. It’s loaded with 28 herbs blended with flax seeds and psyllium to restore bowel health and eliminate toxins from the body. Fiber Cleanse also aids in healthy weight management and enhances weight loss, which lowers your risk of cancer and other chronic diseases. Probiotics are the good bacteria that reside in your gut and fight off bad bacteria and disease. Probiotics are essential to maximize digestive health. They also play a role in preventing colorectal cancer and controlling side effects associated with cancer treatment—such as diarrhea from chemotherapy, infections at surgical sites, and poor bowel function, says Memorial Sloan Kettering Cancer Center. Hallelujah Diet probiotic supplements are professional strength. To ensure your body properly absorbs the nutrients present in the Hallelujah Diet, digestive enzymes are crucial. 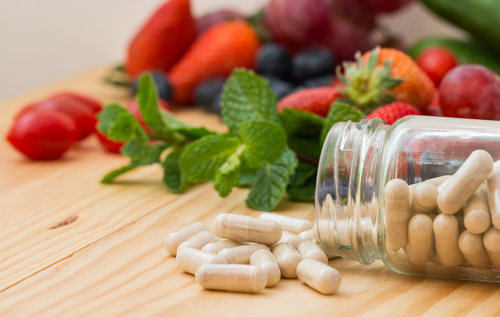 Taking supplements containing digestive enzymes, which are naturally found in certain foods and your body, increases your ability to utilize essential vitamins, minerals, and other essential nutrients that fight and prevent cancer. Cooking foods often destroys enzymes in foods, which is why enzyme supplements are so important. Liposomal vitamin C, which is lipid-encapsulated vitamin C, is the most powerful form of vitamin C and is best absorbed by your body. It strengthens your immune system, so you can fight off illness and disease naturally. The liposomal encapsulation of vitamin C helps deliver it directly to tissues, without going through the digestive process. Taking these and other cancer-fighting supplements, in addition to eating a diet rich in plant foods, gives your body the best chance at fighting and preventing cancer naturally. Cancer rates are rising, but so are poor diets, nutrient deficiencies, and being sedentary. God designed your body to avoid or fight disease naturally, the Hallelujah Diet provides the resources your body requires to do this! This was a great lay out plan. Some good and important information. The supplements from HA helps alot and the lay out plan they have set up for a person. This will help when they have question on how to get started. 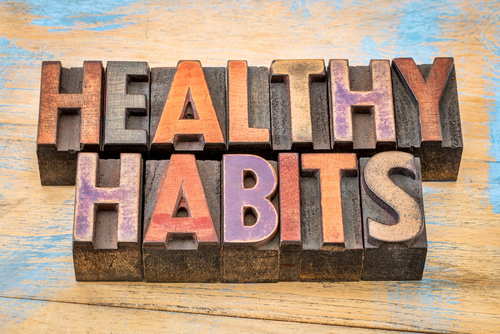 Thanks for the Healthy Habits!